According to estimates by grant recipients, Google's support will free an estimated 12,000 people from slavery and prevent millions more from being victimized. Numbers vary widely, but policymakers, activists and scholars estimate the number of modern-day slaves at somewhere between 10 million and 30 million people worldwide. Google's director of charitable giving, Jacquelline Fuller, said the company chose to spotlight the issue of slavery because the topic of freedom - "the most basic of human rights," as she puts it - resonated with company employees around the world. "Many people are surprised to learn there are more people trapped in slavery today than any time in history," Fuller said. "The good news is that there are solutions. Google is supporting organizations that have a proven track record and a plan to make a difference at scale." Google made the announcement through a link posted on its web page. The gift is part of a total of $40 million the Internet giant is giving in charitable donations during the holiday season. 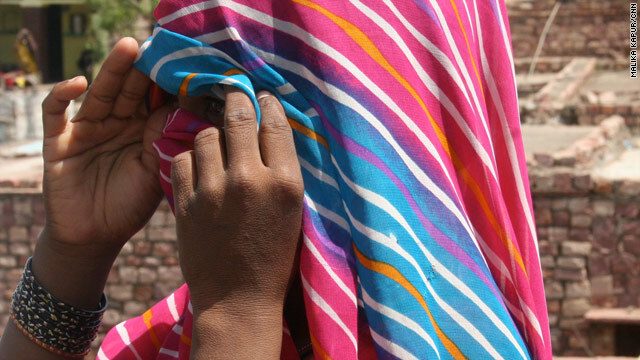 The grant will be shared by newly formed coalitions of international anti-trafficking organizations. The bulk of the donation, $8 million, will go to two coalitions led by IJM in India, with about half going toward direct intervention and government-led rescue operations, and half toward advocacy and awareness projects. In addition, $1.8 million will go to the U.S. Anti-Trafficking Initiative - a partnership between Polaris Project, which operates the National Human Trafficking Resource Center hotline, Slavery Footprint, an interactive Web site and mobile app that estimates how much of a user's lifestyle relies on forced labor, and IJM. IJM says most of its funding comes from private donations. In 2010, it notes, less than 1% of its funding came from big business or corporate foundations. "It gives us a sense of what's possible," said IJM's Haugen. "We can actually change the whole balance of resources between those who are the criminals, hurting human beings and those who are on the side of those who need freedom today." CNN has also joined the fight against modern-day slavery and collaborates regularly with many advocacy groups, including the recipients of these Google grants. Since launching the CNN Freedom Project in March, CNN has broadcast more than 200 stories and a half-dozen documentaries on the issue of human trafficking and modern-day slavery. Nearly 2,000 people have come out of slavery, either directly or indirectly, as a result of those stories. No, you morons, the traffickers are not Anglo-Saxon Christians. It was whites who FREED the slaves 146 years ago and now it's whites who are freeing the slaves AGAIN. Those wicked, evil white people. Indeed, it was white christians responsible for modern atlantic slavery. Well done. Now, go back and learn about the Muslim enslavement of Africans for longer, which continues. Then the african enslavement of africans, which continues. Then every group on earth who have enslaved for eternity. Its not that simple. White slavery was worse, I'll grant. More numerous too. But its not that simple. And even atlantic slavery had the participation of many non-whites. And..and...and.. It was the white Christians who enslaved them in the first place with merchant ships supplied by Jewish bankers. @bannister for comment below >>> Please post again and say you were joking..my word man, that's like saying..hey, I took a dump on your head but then I gave you a hat!...are you shroomin'??? You better get your facts staight. It is Muslims who are responsible for over 70% of modern day slavery. Look it up! Muslims made slave King 100 year ago, and White Christians were only able to do that in 2008. It doesn't matter the color of skin, creed, origin, or religion they are claiming to be a part of! All that matters is that we help end it! Why argue behind these IP addresses and false names about who started what? That accomplishes nothing but anger toward each other! Why don't we all join the cause and either raise money, join organizations, make people aware of the suffering, or physically be in the act of finding people in slavery and trafficking and saving them! Pray for freedom, healing, and life to be given to those not only enslaved but to those enslaving others. We need to rise up from our comfortable couches, desks, beds, houses, etc to take a stand. Let us Do Something Now. It's astounding that people don't know this most basic history - the slave trade involving Europeans and Americans lasted for only about 400 years. The slave trade involving Muslims goes back to the 8th Century, and continues today. Look it up on Wikipedia. Why do forget Romans ? while Christians used to torture and burn slaves, Muslims made them king of countries like Egypt and India (Slave Dynasty). Just a reminder to Americans who like to slam China on everything... China had never traded slaves..... or enslaved any races.... thanks. You really need to study your history! China absolutely had slaves for centuries. Sometimes when a wealthy man died his slaves were killed and buried with him! WRONG. Your knowledge of history is selective. China's imprisoned labor force is larger than the entire US labor force. There are plenty of white folks on the customer end to provide a demand for human trafficking. Racist much? What about the bulk of the slaves who never leave North Africa? We are talking about tens of thousands of people who are locked into countries with no rights, no legal system to protect them. Sudan is only one example. And Christian countries like Congo is another example where people and enslaved, raped, murdered. I hope that CNN would also cover that, and will not give up to anti-Muslim racist bigotry. FEDERAL RESERVE SYSTEM IS a form of slavery. IRS take me down. you brain washed fools. Absolutely correct! Half a dozen of one thing is the same as 6 of the other. Ron Paul and any freedom-loving, real capitalist knows slavery = taxes = force. End the Fed. End hidden theft through paper currency devaluation, and stop stealing everyone's capital right out of their back pockets. The poor will gain the most from capitalism – and that is exactly why the rich, fake capitalists like Soros, contribute 1/2 a billion dollars to their suppression by supporting the Democrats. In a system of merit, Soros would be poor and the poor would not have their money secretly melting in value and getting reforged in the pockets of filthy, greedy, socialist billionaires who buy favors from their socialist, statist government puppets – many Republican and many Democrat. Vote Ron Paul and protect the value of the money you earn, and end hidden tax and money devaluing slavery like overt slavery was ended, years ago. What's the difference between a slave required by force to turn over half of their productivity and a "free" man required by force to pay 50% taxes? By force, I mean if you refuse in either scenario, you'll go to jail and completely lose your freedom? its true if you have a social security # and use federal reserve notes. Rather than characterize my question ad hominem as "simplistic", why not answer it? How is refusing slavery different from refusing taxes in terms of consequences? Aren't the drunk pedophiles catholic? mmmmmmm???? Islam advocates slavery. In fact, Muhammad had many slaves. Muslims are the by far the biggest keepers of slaves in the world today. Muslims captured, sold, traded and supplied the colonial west with all the African slaves. CJ is correct - this is all outlined well in the Koran and hadiths. Slavery violated Christianity, which gave impetus to ending it. In Islam, it is permitted, which is why it continues today. For the past 7 years USA has restricted a lot against immigration, Looks like the H1 visa program itself is a kind of Slavery as they don't give the H1 visa worker/ employee a freedom to maintain his priority date when they change their employers. If a employer turns bad in a long run due to business nature, the employee can change Slave master until they get the green card. Moses Killed millions of people in middle east when he attacked Cannan, Romans enslaved millions of people from middle east, than again White Europeans killed millions of blacks in Atlantic slave trade, while Muslims made their slaves King of Egypt and India (Slave Dynasty). There was no Christian slave King, that tells you about the difference between slavery in east and west. For as long as i can remember Africa has save Islam from extinction,and now Muslim are slave traders shows the love African people has for every one .We need to have our own way of life so that our children can know that there is something to fall back on,traders will always be drawn to Africa as we have endless human resources that has build the world city after city.We are the most sought after for our ability to work hard.Doing any and every kind of work in the burning heat or blistering cold.Then we are jailed murdered and left short of dead.So at times slavery seem as the only way out ,as none hears us calling out for help until dirt is thrown over your face when it's to late.Thank to this group trying to breaking the chains to give us freedom. Im curious! Millions of dollars are being thrown to these activism projects, which is cool, but if this such a huge issue and slavery is a huge issue, why dont they say, "the hell with the money, lets go get these guys where we know where they are"! Why dont they just get the people who are trafficking these people without the crap of wanting money to do the job of going after these guys. Personally, if I was in a position of law enforcement or whoever goes after these people, I wouldnt care about the money. I would just say hey, lets go after these people and rescue the men, women and children. Theyre humans, not financial opportunities! Happy new year with a tear for all that suffer from the inhumane treatment from heartless people,i apologies for those that knows they are doing wrong.NOW YOU CAN PARTNER WITH US TO MAKE A CHANGE,Many hands are needed as we move to hosting an INTERNATIONAL CONFERENCE OF TRADITIONAL HERBAL HEALER IN GHANA FOR AUGUST 2012. ONLY BY ALL OF US WORKING TOGETHER CAN WE MAKE THIS LIFE CHANGING EVENT HAPPEN.So i would like to use this avenue to sensitive the cooperate world of GHANA to get up and perform their moral and social responsibility. This includes the following companies as well as the Government so i am looking for response from GHANA TOURISM AUTHORITY,GREEN PEACE,NATURAL HEALER WITHOUT BORDERS,BARCLAY'S BANK INTERNATIONAL ALSO THIS PROJECT BREAKING THE CHAINS. Just like to remind you stupid Americans that slaves Muslims even became the kings of countries like Egypt and India, while Europeans enslaved people and ethnic cleansed the entire population from many continents. I know most resolutions are to diet and I did that the last year or so. I lost 30 lbs but I don't want to diet or go thgruoh the diet cycle for the rest of my life. It's worse to fluctuate in weight than to be over weight SO I'm making a lifestyle change. I'm heading over to an overview in North Have tomorrow night to know complete details about this Lifestyle change called Transitions. I'm so excited! Especially with the awesome results my business partners and friend had and continue to have. Lots of lbs, inches lost and that the best thing to lose! Muslims made slave King 1000 years ago, while white Christian were only able to do that in 2008.
many people believe that Muslims are the fault to human trafficking, it can be proven but it also is incorrect both religions goes against slaves, however the Koran does talk about having slaves but again the Koran was written many years ago and the beliefs of Muslims have "kinda" changed. If by slavery you mean having poor people do all kind of things and, forbidding them to move out of predefined space without a permission and, not giving them the same rights as these privileges given to local people and, all that for almost no pay at all, then, I'm sorry to say that real slavery is actually in Europe. If you are an immigrant from 3rd world country and you are living somewhere in Europe you will understand that we are the real slaves. And, you will also understand that all these kind of campaigns are just for powerful nations to feel better about themselves and feel less guilty while giving their immigrants hardtimes. You are so right. They publicize it broadly so they can be thought of higly. Its exactly like the drug trade between countries of the world and the death and devastation that it causes. They make a relativly miniscule bust and hype it like it's a big deal while the real problem remains immeasurable. 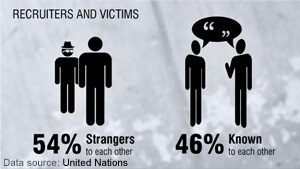 The slave trade, human trafficking all destroy peole's lives literally, with death and conditions of death. If countries involved, and the number is sizable like drugs, would hold themselves responsible to eradicate, with no exception, these killers from their land, the networks would collaspe, worldwide. Well at least someone is doing "something". Are you guys actually complaining about this? Yes there are some worse places than others but this is why it's your job to give more awarnes to your cause. Americans have been fighting for this cause and finally they are seing some results. Perhaps Europeans need to be inspired more and start fighting for what they believe in! I totally agree. I do believe that the situation in the US might be different from the one in Europe, maybe because Americans are somehow immigrants by origin and they do respect immigration far better than Europeans. However, it just gets on my nerves seeing European governments participating in these initiatives while in the same time they do whatever it takes everyday to make the life of immigrants working in European lands so miserable, far worst than the lives of these slaves they are moaning about. Sam – excuse me? Europe and America are oppressing their immigrants? Give me a break! First of all, America is easily THE most welcoming nation on Earth. Every year, America accepts more immigrants THAN EVERY OTHER NATION IN THE WORLD COMBINED! How oppressive! Secondly, non-white immigrants that live in the United States and Europe are treated FAR BETTER than they are treated in their own countries! Immigrants to the US and Europe are giving subsidized food, housing, medical attention and other free services. They enjoy police protection, fire protection and access to the finest hospitals in the world. In addition, they get to live in a civilized society – they can drink clean water and take hot showers without having to worry about catching 3rd world diseases. They can sit in a Starbucks and enjoy a warm cup of coffee with free Wi-Fi. They have full access to museums, libraries, college campuses, the theatre, zoos, amusement parks and more! Yes, those 3rd world immigrants are very oppressed here in Europe and the United States – that must be why they keep coming and coming and coming!!!! 1) if the US receives the biggest number of immigrants every year as you said this doesn't mean that immigrants can't get mistreated in American lands, and this doesn't justify mistreating them as well, if they do get mistreated I mean. 2) the non-white immigrants you speaking about are not getting any of the things you mentioned in Europe, nothing at all, ZERO, maybe yes it is happening in the US, maybe sometimes it happens in Europe when immigrants are received as refugees from war zones. But this is not the standard. 3) Regarding the advantage of living in a civilized country, excuse you!! !, who made the distinction between civilized and uncivilized nations from the first place? and who want uncivilized nations remain uncivilized for ever? and who is using the resources and ignorance of uncivilized nations to become more civilized? 4) Don't tell me "why immigrants keep on coming and coming" because there is someone benefiting big time from all that and also making sure that they keep flowing into these 2 contents in specific. Have you ever thought about Europe or the US without immigrants? have you ever imagined the shocking decline of population that may happen if immigrants in Europe will decide to leave. Do you know that if all Algerian and Moroccans and Tunisians will decide to leave France the population there will become less than the half, and the country will then have no power in the EU. Can I get unemployment?NO .you have to have had a job and lost it touhrgh no fault of your own to draw unemployment.there are also numerous other criteria which include that you have a significant tie to the workforce, have earnings in the past 5 quarters and those earnings are high enough to qualify. the job you lost must have been covered by unemployment insurance etcetera . I was not the only customer who felt the procude was over-watered. HE told ME that customers tell him vitamins and minerals are washed away with water.That's what I've said to your employees for years. Some literally water it like a yard in summer, talking to customers and not paying attention.He told me to say something. I said I've talked to employees, emailed, left notes til I realized NO ONE WILL DO ANYTHING ABOUT IT.Water should never be dripping off greens. I've set them in my cart and they are still wet when I check out, nearly an hour later.I wonder if the procude personnel actually ever eat a salad or use fresh veggies in any capacity?I told him I buy most of my procude at the farmer's markets where the procude is out in the fresh air for HOURS and NEVER SPRAYED with WATER.Farmer's market procude lasts for many days longer than the Co-Op's. I am single, money always tight, and I see no reason why the Co-Op, like other stores, insist on drenching greens!Have you looked at green onions, spinach, beet greens? I won't buy green onions at the Co-Op cos they should last a week, but usually many of the green part are already wilting.I had to put ALL my greens in various colanders for over an hour at home. I had to wipe my beets with paper towels and set out to dry too. I can't get as much organic procude at my local farmer's market. So once a week I venture to the Co-Op. I make juices and rather use organic. I just don't know what to do. I want to support the Co-Op, but what about helping those of us who really want fresh organic veggies to last longer, but can't because your employees insist on over-watering.So sad, but think how many other customers buy at the outdoor farmer's markets instead of the Co-Op? You are losing money.Do you care? I do . . . DAMN..I GUESS MORE THAN 120 MILLION BLACK SALVES TRAFFICKED BY MUSLIMS IN 1400 YEARS, UNDER THE BANNER OF ISLAM, BY THE INFLUENCE AND IN STRICT APPLYANCE OF ISLAMIC PRINCIPLES, SOMEHOW, STILL ...HAVE NOTHING TO DO WITH ISLAM...OOOOPPPSS:Ishaq:510 "We ask Thee for the booty of this town and its people. Forward in the name of Allah.' He used to say this of every town he raided." Ishaq:327 "Allah said, 'A prophet must slaughter before collecting captives. A slaughtered enemy is driven from the land. Muhammad, you craved the desires of this world, its goods and the ransom captives would bring. But Allah desires killing them to manifest the religion.'" Qur'an 59:6 "What Allah gave as booty to His Messenger He has taken away from them [the Jews]. For this you made no raid. Allah gives His Messenger Lordship over whomsoever He wills. Whatever booty Allah has given to His Messenger and taken away from the [Jewish] people of the townships, belongs to Allah and to His Messenger.... So take what the Messenger assigns to you, and deny yourselves that which he withholds from you." This guys has his head on right, tells it like it is, the bottom line principles of everything they do are for power and thier damn "holy" wars. Hi Robin,I recently fndoued an organization called Someone's Child. Our goal is to empower moms to use their unique gifting to combat human trafficking., We believe moms are the most under-utilized group and yet, they are the ones speaking into the next generation of abolitionists,AND, two of us (myself and one of my co-founders) are heading to Cambodia to visit Transitions Global in August!I would love to talk with you all. We are going to host a community-wide Kids Clothing Swap in early September, along with booths that bring awareness to our purchasing power as moms and slavery in the supply chain.It would be wonderful if you all could perhaps join us!?! ?Look forward to future conversations with you. And come like us on Facebook! !Warmly,Carrie KubaFounder, Someone's ChildEngage. Act. 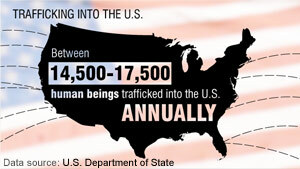 End Human Trafficking. People in the U.S. defended slavery on Christian principles. It's not their religion specifically. It's just their mindset. Like Americans, they will become more open and accepting over time and refuse to let their religion justify heinous acts. Or NOT. Since prescription for everyday life including 'shaving pubic hair' is coded in the Koran by Prophet Muhammad, PBUH? yes it has nothing to do with Islam and Islam will win God willing and you will shut your mouths up at the end. How do you claim "slavery has nothing to do with Islam" when so many Islamic nations engage in slavery, and it is written in the Koran and hadiths? At least Christianity gave the impetus to abolish slavery. If Islam had not permitted it in the first place, likely there would have been no slave trade for the West to capitalize upon. While Muslims made black slaves like Qutubuddin made King of India (Slave Dynasty ) and white slaves King of Egypt , Christians tortured and killed slave every where around world, they ethnic cleansed the many continents of world. God forbid the company help out its own US citizens and assist in fixing the poor problem here, half the company is made up of muslims thus the slavery fed funds right into the hands of the rest of the world where they will get squandered away like everything else. You really think that being poor compares to being a slave? I cannot even begin to imagine the horror of these peoples lives. Yout think that just because you live in the same country as the guy who invented google that you have more "right" to its money then more horrible suffering elsewhere? most of the money is spent by the "non-profit" employees... none of it will actually help anyone. it's a washington dc scam. Well done Google leadership! This will NEVER benefit your company financially, but you did something very good. ~ For those of you posting garbage, until you've studied the issue you have no idea how real slave trafficking is taking place around the world each and every day. This is about people of all varieties being kidnapped or sold into slavery for money. GO READ ABOUT THIS ISSUE BEFORE YOU WRITE CRAP! You r right Randy, most of the comments are crap. This is also not an issue between American and Europeans. Many forms of slavery exists in Asia and Middle East. Some of the worst forms of slavery is linked to "sponsorship " laws of the Middle east. Scrupulous middle men who work as " Manpower agents " aggaravate this scenario. This is great!!! Positive action by a huge company with resources is nothing but AMAZING and positive. Hopefully all nations will follow to block all forms of trafficking/ slavery. Human Rights in action. THANK YOU! It's a nice thought, but I'm sure many nations actually profit from human trafficking. In the U.S. many small businesses, especially farmers, profit hugely by paying illegal immigrants less than minimum wage for their under-the-table cash wages, keeping them in a hopeless state of stagnant economic slavery. Google is just trying to stop Apple's work force. Its common knowledge that Apple uses slave labor to produce its products. who makes the phones that runs google os? So just because I'm a Conservative / Libertarian who believes in free trade and low taxation I automatically support slavery? Go to hell. there are no right or left wing. there is only deception of idi0ts like you. $11 million to 10 groups. About $1 million each? That will just cover staff salaries. What have you given recently? If Google was so concerned about slavery then it would tackle to destroy the FEDERAL RESERVE SYSTEM and it will campaign to ABOLISH THE IRS. And what about slavery here in the USA where your employer pays you barely enough for you to drink water and eat ramen noodles? Living on $400/month working 16 hours/day 7 days per week would be classified as slavery. Jeff, add the words "after taxes" to his figures and that is what a minimum wage job pays in the U.S.
Income tax is slavery. if you own your labor you pay no taxes. you sign your life away with a social security number. This is quite possibly the most ridiculous argument I've ever heard. Really? $400 a month? What country are you living in? I agree with Jeff, there's a minimum wage requirement in the United States and the argument that you're making is more related to poverty rather than slavery. You've got the wrong article. Perhaps you should do some research on other third world countries where individuals earn $500 in an entire year. Without adequate shelter, no running water, toilets, etc. Maybe that'll change your mind. You should be thankful that you live in this country! Educate yourself and stop being ignorant! That sounds like an exact description for maids brought into Saipan from the Philippines. Saipan being a United States Commonwealth. 1) Is eligible to recieve some form of government assistance – subsidized housing, EBT cards, fuel assistance, etc. 3) Does NOT pay any taxes – and gets to enjoy those roads, schools, libraries, parks, etc which were paid for by other people who DO pay taxes. Being poor in America is like being rich in another country. Let's try to keep things in perspective. IRS federal reserve system is slavery. What i don't understood is if truth be told how you're now not auctally much more neatly-appreciated than you may be now. You are so intelligent. You understand thus considerably relating to this matter, produced me for my part consider it from so many numerous angles. Its like men and women don't seem to be fascinated except it is one thing to accomplish with Lady gaga! Your personal stuffs great. All the time take care of it up! Slavery can be defined as losing freedom to advance, being stuck in forced work conditions, with submarginal resources? Then how many middle class Americans are the new slaves of the modern era? Hey Google, how about joining the fight against the invasion of privacy? Oops, never mind. This isn't about the ethnicity or the religion that the slave traders have. It is about the atrocities that are taking place around the world in EVERY country and what WE can do about. I'm a cynic and see this as a purely PR move on both Google and CNN's parts simply by virtue of their bragging about it and, initially at least, actually exploiting human slavery for some temporary good pres. Still, I don't care if their motivations are selfish as long as they actually do good ultimately. This move also helps shame other multi-billion-dollar (trillion?) corporations into making more significant donations to charities than a mere $10,000 here or $100,000 there, less than pocket change for giant corporations and barely pocket change for the greedy sharks who run them. But I'll bet $10,000 most CEOs would see that money as a waste when it could be better spent as a charitable donation to their country clubs to rehabilitate their golf courses. Maybe Apple will join the fight against modern slavery, but then again they would lose their source of cheap labor to make their phones. Can we tell the truth here? At some point in time, virtually every civilization has either had slaves or been slaves. The reasons have changed little over the thousands of years of human history. Greed, lust and power. 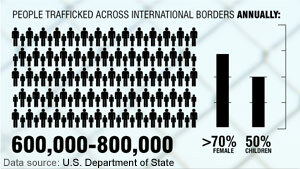 Human trafficking is profitable, in many cultures it is accepted, and seen as necessary. If there were no buyers, there would be no market, and no profit. We know it is wrong on every level. Prosecuting the traders AND the buyers is the only way to impact this trade. I find it sad that the string of comments seems focused on blame more than the victims. No wonder the countries and worlds are divided. Can't you just say – phew, glad someone is doing something about it? No – it HAS to go to race and religion. Pretty sad. What?! Damn you Google – now where am I suppose to get my slaves? Slave Depot?? Google is so anti-Christian. Slavery is accepted in the bible, right next to hating gays. If we have to hate gays, we have to accept slavery. Google is going to hell. a Slave for $90?! Man – why did I ask for the Motorola Xoom for Xmas?!? Sigh..
95 % of all African Slave ships brought to America were Wealthy JEWISH owned Merchants So before any one says anything about white people... Point the fingers in the right direction please... In Isreal today there are still people being sold as slaves.... P.s. African Tribes still trade slaves so put that in your pipe an smoke it ! Kenneth, Got you Jew colored glasses on again? ALL peoples participated in the slave trade. Why are you singling out the Jews? How about you pay some attention to your own miserable existance and improve your own lot in life instead of blaming a race and religion for your problems. Oh that's right it is much easier to blame others for your miserable existance. You mean end slavery with OTHER organizations? Google is against slave labor like Steve Jobs went to Foxconn and marvelled at the nice cafeteria and movie theather they have. You want to end slavery? Wipeout the 1% with all of the money. THEN you'll end slavery. IF google was so enlightened about the SLAVERY. Then it would CAMPAIGN to SHUTDOWN the FEDERAL RESERVE SYSTEM!!! CAMPAIGN AGAINST IRS!!! TAXATION is a form of slavery on you labor. I don't understand why Google is getting involved. Just leave these slaves where they are. If you help free them who will do my laundry, clean my home, wash my car and take a beating now and again when I am a little upset. Can't all you do gooders find something else to occupy your time and leave my slave alone. She is happy where she is. Most slavery is to the dollar and you can just forget about ending it. Nudge nudge, say no more! Work gets paid in dollars and therefore dollars are redeemable in work. Work = money. If the Fed devalues money, it really steals your work. That makes you a slave. In fact, even without taxes, if an hour of work earned $20 and that could buy 10 loaves of $2 bread, and you put that money in a bank for 1 year and the Fed prints 100% more money into circulation, your $20 will only be able to buy 5 loaves of bread, which a year later must cost $4 a loaf. Of course, all that money won't get into circulation immediately, since it will trickle down through banks through "chosen" hands and into "chosen" hands. These "chosen" hands then will invest in the market, in businesses, etc., and then eventually you will an employee of some tier of "chosen" hands and get paid some inflationary extra amount if you are unionized well, or have develop "chosen" hands skills. Either way, eventually, ramping up a money supply faster than an economy grows results in inflation. Only if bread production and consumption also doubles when the money supply doubles could the price remain the same. So, do you feel unionized or "chosen", punk? Or do you just want to end the insanity and vote for Ron Paul and actual capitalism? O'Bama is going to round up all de black pimps of Chicago and there ain't gone to be nothin like dat no mo. Congratulations. We are all addicted to living beyond our means. Our addictions help perpetuate the slavery that exists today. thats why we're in the financial hole we're in. Ignorance is bad. you are about 50% correct..........we all are addicted to the aspiration of a better life HOWEVER.....this is not a crime and this has absolutely NOTHING to do with our country's financial situation. Our country's monetary system is built (and currently operates) under a system of perpetual debt.......hence we shouldnt be fighting each other....we should be beating our congressional leaders and the private sector that they protect to stop extorting the Americal people. WAKE UP!! !..........I suggest you go and read President Woodrow Wilson's memiors and study the origin of the Fed.....if you dont believe me (which im sure you dont). I agree on to join in unity fight against slavery I 'm glad I live in a free world country.But what irratates me of the deseration within our own core ,or within our own nest of struggles.If we don't wake up soon from this coillision of despire financil calamity,our survior chain therafter ,is going to be unrecongizable.Self destruct inability,want be benefical for us ,nor aboard. oh boy, EVERYONE has a bone to pick. Cant we just say "Nice going Google and thanks" geez. NO, I can't. It's a waste of money. Didn't one of these Google guys go to DC and ask for his taxes to be raised. It'd be a far better thing to do with the money than to fight slavery. 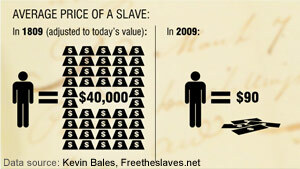 Slavery where? On the streets of Mountain View, CA? Give me a break. Folks with too much money is what this is all about. How about taking half of those millions and taking care of a neighborhood in Detroit or send it to the IRS to help the national deficit. White people are evil, will always be evil and there is nothing you can do to change that. I don't care if you were vorn after slavery, you are evil just for being white and you can never lose that. 1.December 27, Meineke Car Care BowlWest VirginiaNorth Carolina2.December 29, Papa Johns BowlRutgersNC State3.December 30-Holiday BowlOregonOklahoma St4.December 31-Insight BowlKansasMinnesota5.January 1-OutBack BowlIowaSouth Carolina6.January 1 Capital 1 BowlGeorgiaMichigan State7.January 1-Rose BowlUSCPenn State8.January 2-Sugar BowlAlabamaUtah9.January 5-Tositos Fiesta BowlOhio StTexas10.BCS Championship BowlOklahomaFloridaTie Breaker 1International Bowl Jan 3UConnBuffaloTie Breaker 2How Many Yards will Sam Bradford (Oklahoma) throw for against Florida?168what..no Cotton Bowl???? GO OLE MISS! Well, Sparkyduck is the ONLY one who picked Utah over Bama. What's up with that?2 games to go.. three-way tie for first, I'm alone in last.If Texas and Florda win, then Anthony and I tie for 3rd/last and Sparky and Bond tie for first. Bond is the only guy with a chnace to win it free and clear, if Oklahoma beats Florida it's all his. Another case of bleeding heart liberals impeding business. You are just a bunch of small human beings. Whites are responsible, no it's Muslims, no it's Jews, no it's this and that... We are all the same. Some of us are Good and some of us are Evil, when will you ever understand that? Blacks had slaves, Whites had slaves, Muslims had slaves, Jews had slaves, Indians had slaves, Chinese had slaves, should I go on? And to this day many still do. Some are trying to do something about it and many of the Evil ones are here to put a negative spin on it. Well nice try but the Good ones will win this battle, believe that. This is one of the first times I have followed a thread of responses as displayed above. Humongous kudos to Google for their efforts to confront human trafficking. For those of you who are apparently so unbelievably ignorant or biased not to accept the fact that human trafficking is one of the main scourges of our supposed "civilized" society.......worse than drugs as children can be sold over and over again making huge profits for the traffickers. When young girls (and boys)...some as young as 5 and 6 years old are kept in locked rooms and forced to service sick perverts countless times every night, don't tell me modern day slavery doesn't exist. And, yes, it's taking place right under our noses in many of our cities and communities. And with personal knowledge of the use of these donated funds, I can assure you that MOST of the $$$ goes directly to the freeing of the oppressed and not to employee salaries. So, for those of you who have responded that real slavery is because of overtaxation, the IRS, etc. ,get a life, or move to Mogadishu or the slums of India and find out first hand what real oppression is all about. Stop whining and do something constructive with your life as Google has so admirably modeled for us all! You must work for the Google PR department........That was a great post.....and as much as we would like to believe it....we dont........Half of that money probably went to some off-shore escrow account that they probably named "free the slaves" and the other half was probably given to cnn to post this article. We will believe it when we see it.......until then,,,,,STOP the pathetic PR routine......we've seen it a million times before. You can refer to my more recent comment above. I've actually never lived in a cesspool. What's it like down there? If we can trust CNN statistics there were never so many slaves all over the world as today and they have never been so cheap. So apparently abolishing slavery was the wrong move. ooops.......just want to clarify, I am not the same "mike" that posted earlier comments. Seems you mis-spelled your name.......it should be Moron! Interesting, Google is taking some responsibility which is a good thing. However, on websites like Topix, cowards often go in and post lies about people with no accountability. Within five minutes it appears in google search engines often destroying their reputations and possibly costing someone a job opportunity. Google does not seem interested in cleaning that up. If google is going to show a social conscience start protecting innocent people who are attacked on websites like Facebook, Twitter, Topix, etc. Would it be considered politically correct if I forwarded my boss's address to Google? Where the h3ll was google 400 years ago during the Diasphora? We could have really used that money back then. Funny how companies make people believe that they actually have morals. Who did they give the money to? Some other company that said that they were helping some company who is helping some company who said that they are helping another company stop slavery?.......I guarantee you it wasnt actually to the slaves. I wonder if anyone ever stopped to ask "why cant they do that over here?" I mean 11 million dollars could wipe out a ton of impoverished areas in several US cities......the truth is.......they say that they are sending money somewhere overseas where we cant account for it nor see it in the works......WAKE UP PEOPLE! if you want to do something for your community or for communities abroad........do it yourself!!!!! That way you know that you have REALLY made a difference. Good point. How about the $800 billion dollars that were spent in the Iraq war? You know, the one that George Dubya Bush started- against a country that was not involved in 9/11 (and had neither the chemical weapons or WMDs that Cheney was convinced they had). What a shame- with that kind of money, we could have gone a long way to eradicating slavery as well as increasing the salaries of teachers in U.S. public schools so our kids don't have to go around selling overpriced wrapping paper & cookies. To your dumb comment, weapons were discovered along with many thousands of dead bodies, gas chambers. IF you paid attenstion, you would have known that. I been here several times, various deployments, and I can vouch for it. Learn your facts before you say stuff. Hippies is what causes slavery. Hippies destroy America and everyones freedoms, Like the morons on Occupy Wallstreet. They are all hippies. End the era of hippies, and slavery would go away. See a hippy will own there hippy store, and pay people with plants. Then pay them nothing. Hippies are creating slavery, and ruining countries around the world. They even cause mass destruction to nice cities that were once gaining momentum. then they created Occupy Wallstreet to bring down all cities and create slaves. So now we know its hippies, hippies are a menace to society, so are Wallstreet Occupiers!!!! Bush spent 8 years in office trying to fix what Democrats spent to cause a recession. Democrats= HIppies. Bush had every right to do what he did, if you ever served in the military, which I am sure you didn't YOu would know that. But if you never served in the middle east, shut your trap about the war. If you don't know nothing about it. Don't say nothing. Its insulting to veterans you hippy. yes, and I'm certain it would be mostly for you. Don't even begin to try to weigh in on a subject you clearly know nothing about. Pathetic! now I know why I typically don't visit blog sites.....really coughs up the true dregs of society. since no one will listen to your insane ramblings, you hide behind your computer screen. whoever ( or whatever) Barrington Legend is, do yourself a huge favor and crawl out of your evil sewer and do some good in the world. what a pathetic display of ignorance. actually, beyond ignorance. I could hold a better dialogue with a brick. I truly cannot even comprehend such a warped mind that feels no empathy for those less fortunate. But as luck would have it, you are apparently already a slave to your own distorted view of what is good in this world and you are, in fact, the one in need of rescue. perhaps some day you will discover that true joy in this life is about giving not taking. Google's donation or any other thoughtful donors resources will be put to extremely good use in attempting to rescue the oppressed. Eviloutionary psykology has a big part to play in the lack of respect for Human life. People seem to care more about their pets than their fellowman. Dog eat dog is the reason of the season. I too appreciate the attention Google and CNN has given this subject.I have nothing but disdain for those who believe that somehow these people deserved their fate. OF GOD AND KNOWS GOD. THROUGH ALL AND IN ALL. THINGS OF YOUR HOUSE, OF YOUR HOLY TEMPLE. UNBORN FOR HE HAS DONE IT. I hope if previosly posted comment by me is not published, then MODERATOR will let me know the reason at least. Though it is your site, you have all the will / power to control the contents, with / without giving the reason. Google's action is commendable. as mentioned by mike, they are taking the bull by the horn in confronting real modern day human issues, which are largely kept under the carpet. Large corporations should lead the way. Bravo! In the proverbial nutshell – no demand for products provided through slavery = no slavery. Fix the demand, fix the problem. Anyone too stupid to get that? This is a commentable action taken by the various parties,can i help by offering some basic understanding of what makes it hard for slave trader to make any impact on weak villages around the world.Giving people ways to improve their living conditions,such as running water,knowledge of the healing herbs that are in there area,so they can have a product to market to companies set up to produce herbal medinices for sale to open market.I would like to be given the opportunity to open such production firm in GHANA and KENYA ,With the help of this project can break the chains and give freedom to many.As we enter into 2012 i will hope you in cooperate me in your plans. BAHAHAHAHAHAHA!!!!! Yeah, and Steve Jobs joins the battle against Slave Labor!! BAHAHAHAHAHAHAHA!!!!! They DO. EVIL. EVERY. SINGLE. DAY. CAN we count on help from you?or maybe am just dreaming with my eyes wide open.Giving people ways to find peace in themselves by providing a place where they can speak about forms of healing with herbs.This is why we need your help in staging a world conference on healing with herbs.This conference with set the brench mark for reaching people that needs our help.Starting this August 2012 in GHANA will provide the forum for the world healer to explain the need to end the wars that are causing the major problems of slavery.JOIN THIS project to bring the people with the healing knowledge together so they can share with the rest of the world the reasons for living in freedom. Will people take there money out of the banks that fail to invest now in the rebuilding process,we need to let the banks know the money which they hold from the many felt persons from Africa.Has to be reinvested into projects such as the INTERNATIONAL HERBAL HEALING CONFERENCE TOBE HELD MAYBE IN GHANA THIS AUGUST.Let them wait until we the people that need there support turn to protesting in front of their banks,if you think WALL STREET PROTEST will look like Sunday school.All the stakeholders should start to worry as the world seems to be getting to be a smaller place than it was,action and reactions time has come to tell your bankers to lend there support to this and many other projects.Breaking the Chains to set freedom in motion,invest in these project will reap rewards far greater that you just sitting and watching,it maybe to late to save far after the wall falls.Traditional healers will gather and this can only bring more people i need of the services of these healer .CALLING ALL HANDS ON DECK TAKE AT IO TO SAVE OUR NATIONS.DO WHAT YOU KNOW IS RIGHT NOW.ps To ALL CONTRIBUTORS LETS WORK TO MAKE THIS CONFERENCE HAPPEN THIS AUGUST IN GHANA. When corporations get political, its treading on thin ice. People's rights go out the window. Granted this is a just cause. But what are the boundaries? WHERE THIS CONFERENCE CAN BE HELD.WE NEED YOUR HELP TO MAKE THIS A GREAT SUCCESS STORY FOR BREAKING THE CHAINS,GET INTO ACTION TODAY AND LET GO PLACE TOGETHER.BRING YOUR MONEY AND LETS WORK. thank you Google for stepping up to the plate. so many women, children and possibly men are lost due to this type of greed. regardless of the history,which looks like hundreds of years. the question is-"Have we not yet evolved into something better, by now?" thank you google...unless you have witnessed such tragedy first hand, its hard to wrap your mind around it, still. Why all the negative comments? Have we really become so cynical? Human trafficking is real, and it is perpetrated by people around the globe, regardless of skin color, ethnicity, or religion. But I believe that if we all start taking small steps in the right direction, as Google has done, we can make a difference. CAN any one tell me how to turn my head away from these people that requires help fro the world to stop this modern day form of slavery.Daily i get letters from many young wome like miss NANCY VAYE and what do i do?Yes i bring it to your attetion hoping that these young women that are the hope of freedom PLEASE HELP ME TOHELP THEM. slavery is a terrible thing. when america practiced slavery, they did not go into the jungle and capture people to enslave. they were sold into slavery by their own people. the most notorious slavers in africa was the mau-mau tribe. when they caputred people to enslave for themselves, they cut the soles of their slaves feet and put pebbles inside so that they could walk but not run. Magnificent items from you, man. I have keep in mind your stuff prior to and you're simply lexremety fantastic. I actually like what you have obtained right here, really like what you are stating and the best way through which you say it. You're making it entertaining and you still care for to stay it wise. I can't wait to learn far more from you. That is really a tremendous website. wewacian on October 25, 2011 Come on, boy. Hold on to that hat! Run forit, boy! Run gthaisrt home and don't stop 'til you getthere! She's so cute!! !I've got goals, not resolutions. Goals seem drhaer to break, right? :DSO: open my online art shop, learn to knit, do more weekly yoga, visit three states I've never seen. They all sound do-able to me!Happy New Year! kudos google. well done in the 'set an example' arena. hope more companies will follow your lead. Very nice post. I just stumbled upon your blog and wihsed to say that I have really enjoyed browsing your blog posts. In any case I will be subscribing to your feed and I hope you write again very soon! Thats awesome google is a juggernaut for the forces of good. Valuable information. Fortunate me I found your website by chance, and I am stunned why this twist of fate did not came about earlier! I bookmarked it. You have a really good website. Very interesting read. I will be back to look for more posts, keep it going. Reading all the modern style of salving people around the globe. I just wanted to get the concern of the related organizations to what's going on in Middle East Arab countries like UAE ( Dubai) and Qatar specially. They use people from India, Bangeladish, Serilanca, etc.. As maids, building construction labours, guards, etc.. With very selfish visa rules, keeping their passports, give them wages even not enough for 2 course food a day, disaster accommodation, heat working environment, no family visit, no return to home land, no medication, no insurance, no education, etc.. Nothing at all. If you investigate about labour condition behind the luxury of these countries you will find worst ever slavery in modern days. Send reports to check out labour camps, maids conditions, visa rules, salary levels, .. People don't ruin for weeks because of sweating. You see people sleep in dirty camps in 50 C degree and didn't took a shower for 2 months. You see people eat fried vegetables once a day for one year and lost 50% of their weight in a year, you see suicide rate that keep in secret, jails full of people who protest against this conditions, WHY we forget these humans? Because Arabs has money to cover it up? I do trust all the ideas you have offered on your post. They're really convincing and will certainly work. Still, the posts are very brief for novices. May just you please extend them a little from subsequent time? Thanks for the post. I have been exploring for a bit for any high quality articles or weblog posts on this sort of house . Exploring in Yahoo I finally stumbled upon this website. Reading this information So i'm satisfied to convey that I have an incredibly excellent uncanny feeling I came upon just what I needed. I so much certainly will make sure to don?t omit this website and provides it a look on a relentless basis. I'm now not sure where you're getting your info, however great topic. I needs to spend a while finding out more or working out more. Thanks for great information I used to be searching for this info for my mission. Tremendous things here. I am very glad to see your article. Thanks so much and I am having a look forward to touch you. Will you please drop me a e-mail? Hi there, I found your blog by way of Google at the same time as looking for a comparable subject, your web site came up, it appears good. I have bookmarked to my favourites|added to bookmarks. I got what you intend, thankyou for putting up.Woh I am glad to find this website through google. "I was walking down the street wearing glasses when the prescription ran out." by Steven Wright. long life and protection spell. Are you a business man or woman? are you working for a company? are you financially successful and you need a seal of protection in your life to live long to old age and be protected in your wealthy and successful life. here is the secret temple that you can get that. So many life have been short cut by assassin and with spiritual power either by Accident of sickness because of the success of your business or your position in the company where your work and wealthy life of a person. all you need is to protect your life from enemies from bring you down or from taking your life because of your success.